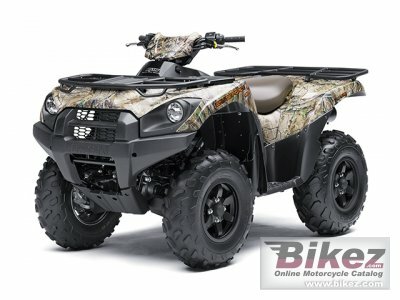 2014 Kawasaki Brute Force 750 4x4i EPS Camo. Picture credits - Kawasaki. Submit more pictures. When the call of the wild needs to be answered, outdoorsmen across the country can rely on the Brute Force� 750 4x4i EPS Realtree� APG� HD� ATV to get them off the grid and into the wild. Wrapped in a durable, scratch-resistant camouflage pattern, the top-of-the-line Brute Force ATVis capable of even the most extreme adventures. Ask questions Join the 14 Kawasaki Brute Force 750 4x4i EPS Camo discussion group or the general Kawasaki discussion group.